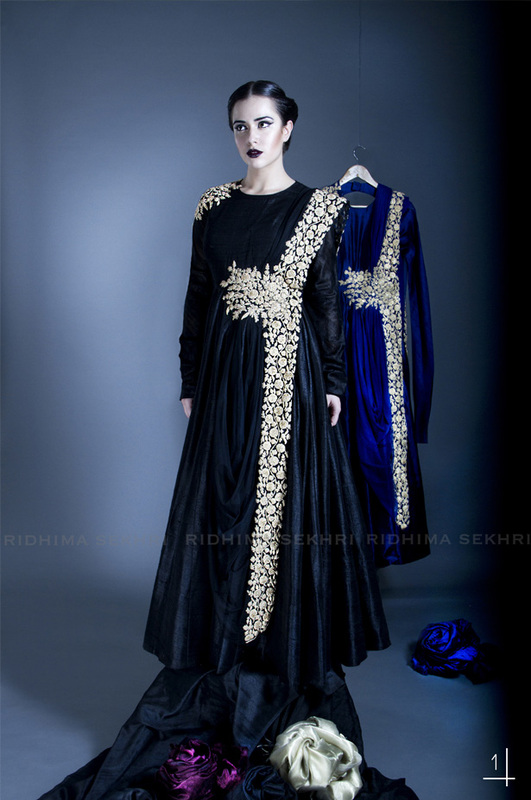 Here’s my latest Label Lust ladies- Ridhi Mehra. 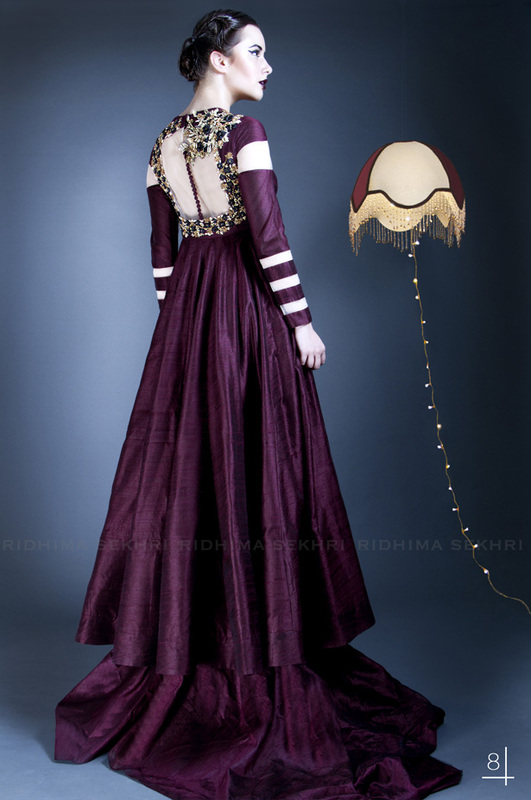 Ridhi’s capsule collections have been making quite the impact. Her floral anarkali was worn by Sonam Kapoor and she’s already got several major stockists including Ogaan, Aza and Pernia’s Pop Up. Not bad for a newbie hey? and a newbie whose work hasn’t even hit the catwalks yet! 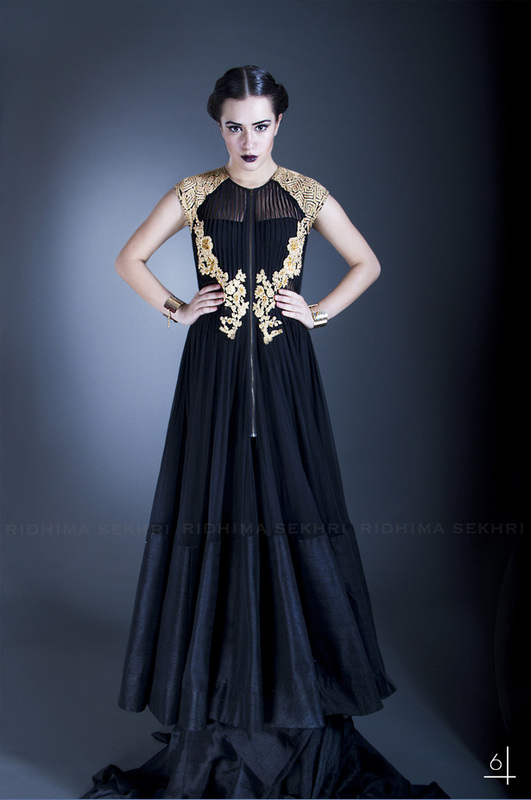 The reason I’m crushing on Ridhi’s work is the way she use details (think pink tucks, sheer panels, fabric/colour blocking and zips) and what’s become her signature-placement embroideries and embellishments. All these elements come together in her ohhh so yum designs and just look so fresh and so chic. 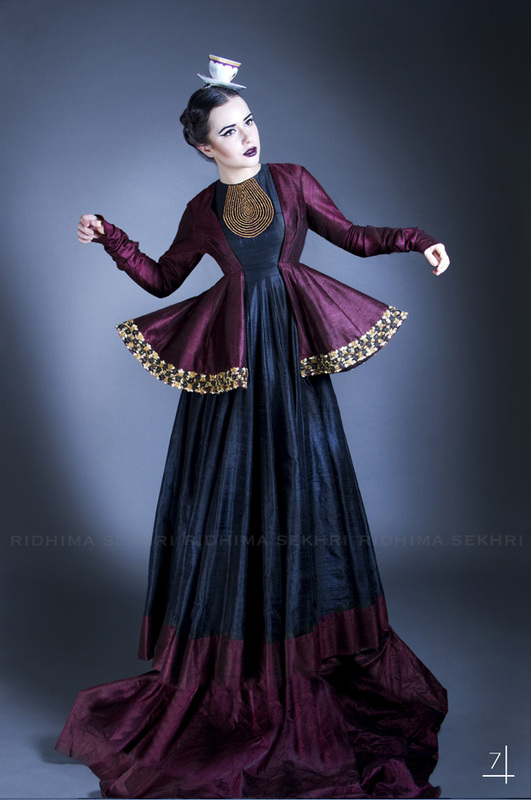 In the lookbook below her S/s pretty florals and colour palette have been replaced with these rich autumnal Vampy colours. Now all I need is for her to get a London stockist!